Walk into this amazing open floor plan with a vaulted living area and towering fireplace, overlooking the massive deck through a wall of windows onto the lake immediately available from the back yard. Hardwood throughout first floor. Wide open kitchen with granite countertops, new cooktop, and stacked microwave and traditional oven. 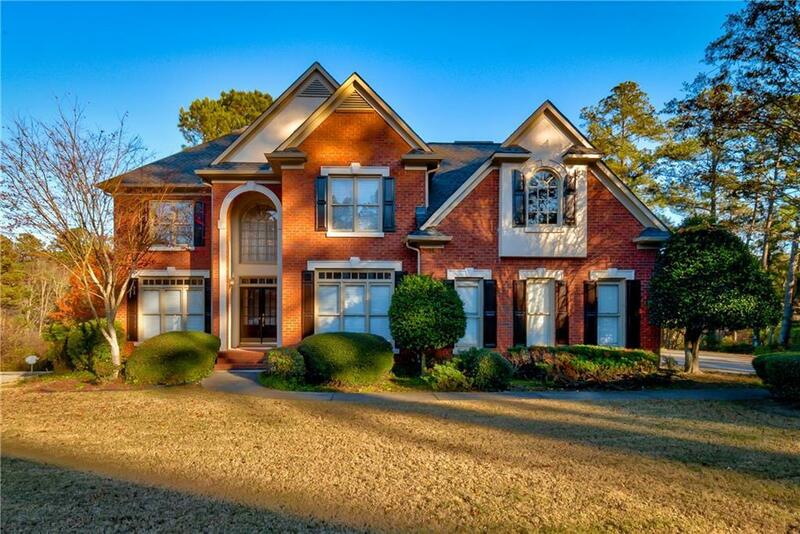 Beautiful oversized master suite upstairs with sitting room/Nursery, Master bath and walk-in closet space must be seen to be believed. Basement is carpet and tile with a lrg bedrm. The rest of the basement is wide open with lake views. Directions: From I-85 N Take Pleasant Hill Road South Toward Snellville. Go 3 Miles, Take Ronald Reagan Parkway, Go 4 Miles, Exit On Webb Gin House Road SW, Turn Right. Go 1/2 Mile, Turn Right Onto Montclair Way. Turn Right On Lynshire Lane, Home On Right.